One day good. One day bad. The best truck in the world that dances over sand dunes and makes old men smile in the street as it passes with its V8 purring like a Siberian tiger slurping Cornish cream. The worst pile of malfunctioning anachronistic mechanical engineering since the invention of the internal combustion engine. Like some four wheeled incarnation of Jekyll and Hyde that glugs down petrol rather than potion but still manages to flip-flop personalities with alarming and heartbreaking regularity. Introducing, in case you hadn’t guessed, the simultaneous metallic mistress of my love and haemorrhoid on my soul, ODO999Y. Steering column bearing, steering box bearings, thermostat, water pump, radiator, rear prop shaft, front prop shaft, timing, starter motor: I’ve repaired, adjusted or replaced them all and we’ve only done 6000 kilometers. For more than half of that distance the temperature gauge has been hovering around the red zone resisting all attempts to tease it back down to seriously hot and away from just-about-to cook-the-engine-and-blow-a-head-gasket super-heated-steam hot. I’ve spent more time staring at the needle on the water temperature gauge that I have at the scenery. With only seven days to travel 1800 kilometers, we were pushing our luck. It really wasn’t too much of a surprise when 200 kilometers in it finally broke down and refused to move. My limited mechanical expertise was exhausted, even under the telephonic tutelage of guru Martin Howdle, I couldn’t sort this one out. Once again the generosity of people I had never met before this trip was extended in spades and without hesitation or request. This time, it was the suave, nonchalant, Mohammed Sharsher. A former student of Rosie’s, whose excellent command of the English language is at least in part due to her teaching skills, Mohammed stepped straight into the role of guide, guardian, translator, facilitator and general top geezer when he met us at the border. Having an off-duty Lieutenant Colonel in the Libyan police grease the wheels of immigration and customs formalities is to be recommended. On the outskirts of Tripoli, the truck finally crawled to a halt, but within minutes I was being towed behind a HGV to the secure compound of a near-completed mansion house. Both the tug and the private park-up were courtesy of contacts of Mohammed. If they ever make a Libyan version of “The Professionals”, Mr Sharsher would make a perfect Bodie, at least if he cut down on the smokes and hit the gym from time to time. Next day, another call, this time to Suleiman: another major dude. He poked around the engine, diagnosed what I’d suspected but was unable to solve and he promptly tweaked the carbs until they would at least function enough to get us the twenty Ks to Land Rover Libya. 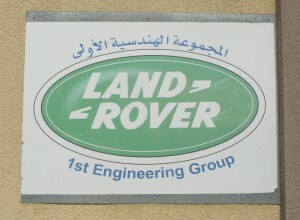 Like an oasis in a desert (and we know for real how welcome they are) there is a compound in the suburbs of Tripoli that is Land Rover’s Libyan Liaison base. In a huge hanger, surrounded by a fleet of immaculately reconditioned Libyan army Series III 109s, ODO999Y became the centre of attention. Seasoned mechanic Vir took on the job and at various times, several ex-pat Land Rover experts have also had their hands on her in snatched hours between their daily commitments. None could donate all their working hours, but all have tinkered with relish. Jeff Hobson and Richard Hobson of Hobson Industries fame, Bill Wickman and Lloyd Field: it would be hard to find a greater concentration of British Land Rover V8 experience and knowledge anywhere outside of the Midlands. If they can’t sort her out then maybe this 101 would have been better left un-bought. Still, if we were driving anything other than a 101 would these expert mechanics really have been so interested in fixing it? Jekyll and Hyde. 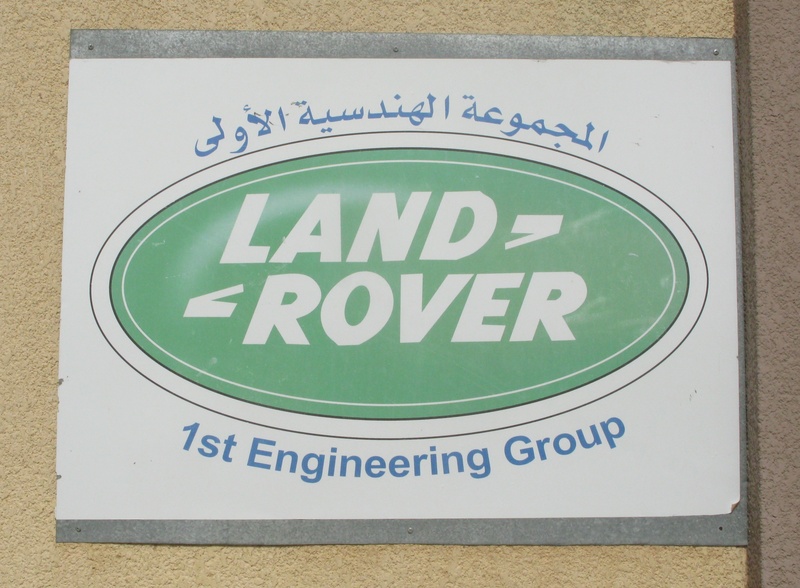 A heartfelt thanks to John “MisterJohn” Richardson and Paul Richardson of 1stEngineering and the Land Rover Libyan Liaison Office for workshop time when we needed it most. Also for their warm hospitality and the employee accommodation they donated to us while the truck was in their care.